Soviet heritage in the Russian north considers the material legacy and tactile memory of the former Soviet empire as manifested in remote towns and settlements on the Kola Peninsula, NW Russia. After the fall of the Soviet Union in 1991 these in economic terms relatively prosperous sites faced a very different reality. Today the immediate impression left from encountering them is not only of decay and decline but also of “offline-ness” and postponement. Seemingly disregarding conventional historical chronology they stubbornly continue to survive as Soviet sites in a post-Soviet era. 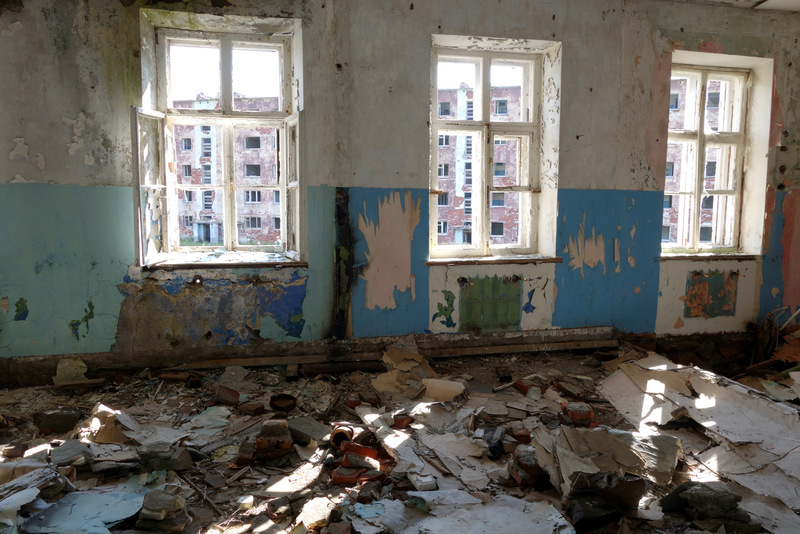 Ranging from the gauge of railways, to urban planning and Stalin and Khrushchev era apartment houses, the deposits of the regime are still so massive and persistent that the investment to get rid of them by far seems to outweigh the costs of living with them. How do these “unintentional monuments” (pace Riegl) of the Soviet regime impact and affect those people who despite infrastructural breakdown continue to live in these “concrete ruins of socialism” (Lahusen 2006)? Is it, as often asserted, a mental heritage of political passivity that constitutes the legacy and effective history of “Sovietism”, or are we rather dealing with an “effective archaeology”: a thick and sticky material heritage which impacts on all attempts to move on? Furthermore, the viscosity and persistency of this material past critically questions traditional notions related to chronology and the pace and passing of history. To what time do these settlements belong? At what moment did the Soviet Union end – and has it really ended? Accentuating things as durable and ‘slow events’, this case also enables explorations of the differences between the archaeological and the historical project, including what may be their basic diverging chronologies.